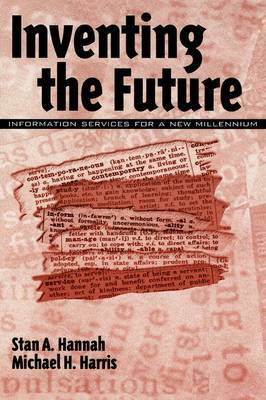 Inventing the Future: Information services for a New Millenium is a sequel to Harris and Hannah's 1998 book Into the Future. In this book they move beyond the rhetorical contests about the future of the library and turn their attention to the more prosaic but vital task of managing our ever more complex and constantly changing libraries. The pages in this book present a blueprint that will guide us in the re-visioning of library and information services, allowing us to remain true to our inherited legacy while looking insistently for innovative and effective ways of inventingour future.